Roosevelt Island, New York is two miles long and situated on the East River between Manhattan and Queens. Even though it’s considered to be part of Manhattan, it provides a beautiful contrast to the concrete city with its lush picnicking areas and natural atmosphere. But it has a very dark and harrowing past. Once known as Blackwell Island, it was once the resting place of an infamous insane asylum known as the Blackwell’s Women’s Asylum. And when this madhouse was still intact, it had a lot of stories to tell. But the most significant one was the story of Nellie Bly. 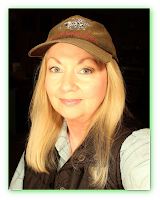 She was born Elizabeth Jane Cochran on May 5, 1864 in Cochran’s Mills, Pennsylvania, a town founded by her father, Michael Cochran, who was a local judge. But Michael Cochran passed away suddenly in 1870 and left the family with huge financial problems. He has left them with no will and Nellie’s mother had no claim to the estate. Nellie was only six years old at the time, and the family struggled to make ends meet. When she was old enough, Nellie enrolled in a small college in Indiana, Pennsylvania and studied to become a teacher, but the financial problems followed her and she was forced to drop out. She moved her mother to Pittsburgh where they ran a boarding house together. But fate was working on Nellie behind the scenes. In 1880, Nellie, at her tender age of 18 wrote a scathing response to a very sexist article in the Pittsburgh Dispatch. Writer, Erasmus Wilson wrote that women in the workplace were “a monstrosity,” and that women should stay with domestic duties like cooking and cleaning and raising children. The piece was entitled “What Girls Are Good For.” Nellie was infuriated and wasted no time in responding. She was so eloquent, in fact, that it caught the attention of the paper’s editor, George Madden, who promptly offered her a position with the paper where she was able to further her work in the issues of women’s rights. And this was a period in history in which this was never more important. 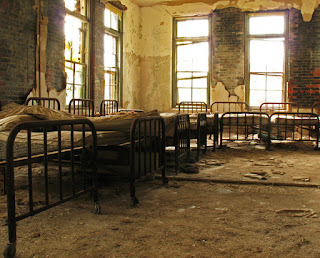 The country’s mental institutions were not helpful to the mentally ill. These so-called hospitals were nothing more than receptacles for people with which society didn’t know what to do. Many women were being “admitted” to mental institutions for various reasons at that time. 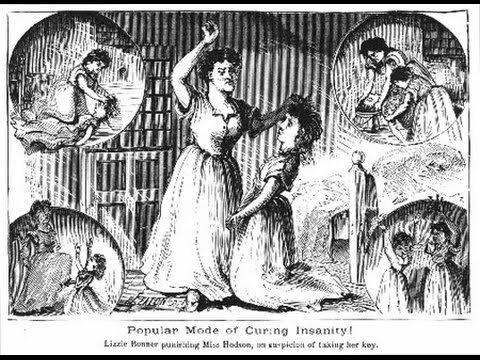 Keep in mind, this was a time when men admitted their wives to such institutions in order to get rid of them, claiming numerous mental afflictions for which there was no real treatment. Many which may have not even been legitimate. And as time passed, and word was getting around about these problems, and the conditions and motives of those institutions were beginning to seriously come into question. And in steps a very brave female journalist, Nellie Bly. She was hearing more and more rumors about such institutions. 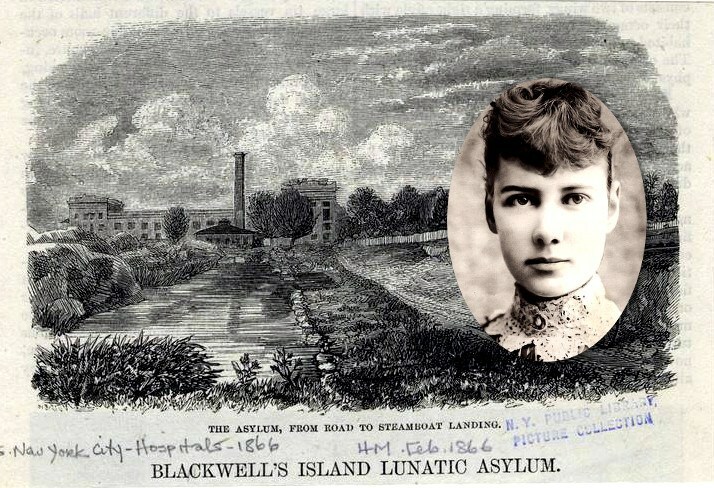 By 1887, Nellie had relocated to New York City and began her career for the New York World where she began work on a new expose about the living conditions of mental patients in the local insane asylum, Blackwell Asylum. In the interest of thorough journalistic work, she spent a considerable amount of time preparing for the project and she carefully crafted a flawless facade of insanity. Her performance fooled everyone, and she checked herself into the facility and subjected herself to the same torturous treatment that all inmates regularly received there. She had never been ensured that she would be able to get out once she was inside. And she was warned she may be risking her life as there were rumors that inmates were being murdered there. But that didn’t stop her. And what she found there was positively horrifying. The inmates, including Nellie, were crammed into tiny, rat-infested cells. She endured all kinds of physical abuse and was often denied food and water. Many patients were starving nearly to death as a result. 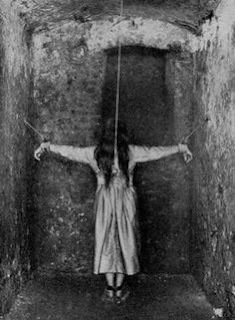 She was subjected to straight jackets and numerous other types of restraints, and archaic and extreme drugs and other “medical” treatments like being stripped naked in a room full of people and forced to take ice water baths to keep her behavior in check, which she considered the worst torture of all. She found that patients were rarely able to get a good night’s sleep as the staff made a point to make as much noise as they could at night while inmates were trying to get much-needed rest. And after 10 days inside, her performance as a lunatic had been quite convincing. She had even managed to fool the hospital’s doctors. She was so convincing, in fact, that she experienced some difficulty in being able to check out of the facility. She attempted to prove her sanity by acting differently, but, of course, no one listened. But the New York World finally sent someone to rescue her or she likely would have died there like so many others. 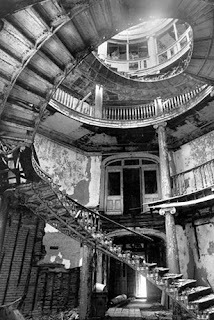 Her expose, 10 Days At The Mad House, not only received critical acclaim, but brought much needed attention to the subject of the state of all mental hospitals at that time. It eventually led to a grand jury investigation which led to a one million dollar increase in the state’s budget for mental hospitals. This in turn led to better legal protection for patients and, even though strides in mental health care had a long way to go, Nellie’s work had changed the face of it forever.